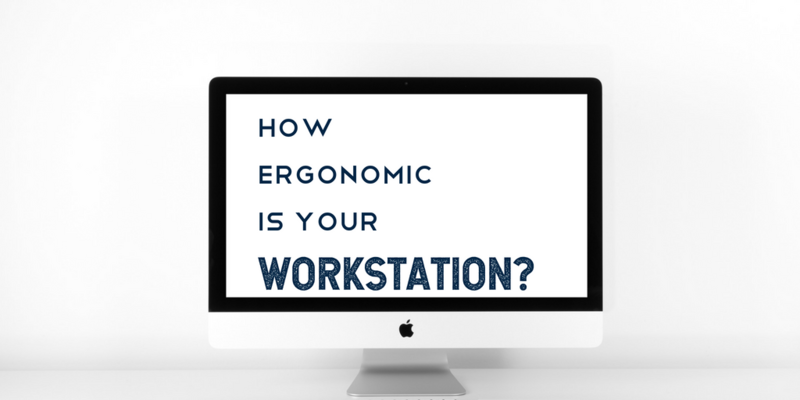 How Ergonomic Is Your Workstation? One thing that I often ask people who have jobs that require sitting for long periods of time, is how ergonomic is your workstation? This can be a significant problem because many people spend the majority of their life at their desk. Having an ergonomic workstation is something that is very important. This can be a difficult issue to address on a blog as it generally requires a lot of measurements and pictures, but you want to consider several things. First, getting your workstation as comfortable as possible requires you to change your seat height, maybe the degree of your seat, the forward or backward tilt of your seat, the height of your monitor, the height of your monitor, and so on. We all can do this to best of our ability, but I think to some degree, ergonomics are overrated because even if you have the perfect ergonomics in your workstation, you are still going to have problems if you stay in the same position for 20 years. It is because of this, that I recommend changing your workstation on a regular basis. I recommend setting an alarm on your phone to change your workstation at least once a month and change one thing at a time. For example, you may for the next month want to raise your seat up by 3 or 4 inches. You may want to lower your seat by the same amount or get a little step stool to put your feet on so that your knees are raised up slightly. Another suggestion would be to raise your keyboard. One major thing you that you can do on a regular basis is change the level of your screen. I usually recommend a screen at eye level or thereabouts, but changing your screen up 6 or 8 inches will make your head look up higher and completely change the amount of strain on your neck, upper back, and shoulders. Doing this for one month will allow the parts of your body that are usually under strain to rest. Just remember to make a change in your workstation on a regular basis to help your ergonomics and take strain off specific areas in your body. I hope this blog helps you in regards to ergonomics and being able to work productively for long periods of time without pain. Already in a lot of pain? Come in for a Chiropractic adjustment and experience the benefits of what an adjustment can do for you! Call us at (479) 443-0800 or click here to schedule your appointment.